306 pages | 29 B/W Illus. Now in its second edition, Debates in History Teaching remains at the cutting edge of history education. It has been fully updated to take into account the latest developments in policy, research and professional practice. With further exploration into the major issues that history teachers encounter in their daily professional lives, it provides fresh guidance for thinking and practice for teachers within the UK and beyond. What is happening today in history education? What is the purpose of history teaching? What do history teachers need to know? What are the key trends and issues in international contexts? What is the role of evidence in history teaching and learning? How should you make use of ICT in your lessons? Should moral learning be an aim of history education? How should history learning be assessed? 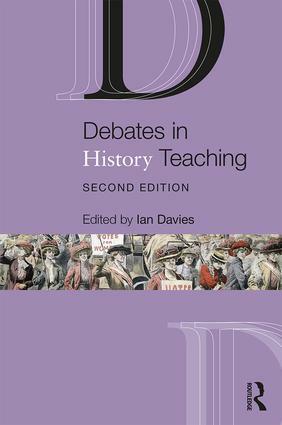 Debates in History Teaching remains essential reading for any student or practising teacher engaged in initial training, continuing professional development or Master's-level study. Professor Ian Davies is based at the Department of Education at the University of York, UK.